Laser Hair Therapy (LHT) is a non-surgical, scientific approach in the cosmetic treatment of hair loss, thinning hair, and retaining hair. Light affects our hair, including how fast it grows. We have all experienced how our hair grows quicker during the summer, and this increased growth is due to improved blood supply to the hair follicles stimulated by the red light in sunlight. On top of that, laser beam acts on the sub-cellular level wherein the mitochondria is activated. Once activated, it releases ATP that in turn signals the nucleus to start cell division which eventually differentiates into hair follicle. Laser Hair Therapy (LHT) is a non-surgical, scientific approach in the cosmetic treatment of hair loss, thinning hair, and retaining hair. LHT has been tested for effectiveness and safety and is approved by the FDA. 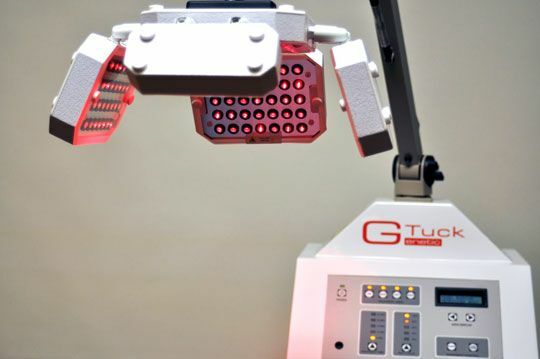 Our Laser Hair Therapy unit, the G-Tuck Machine is a premium commercial grade laser that emits low level controlled energy that stimulates hair follicles and promotes hair follicle re-growth. It is an ideal treatment for individuals with an early stage of hair loss. The laser is also ideal for pre-operative and/or post-operative hair restoration surgery patients. Laser light stimulates cell metabolism and helps damaged cells to repair themselves. Many hair loss patients obtain phenomenal results with this kind of laser hair treatment. 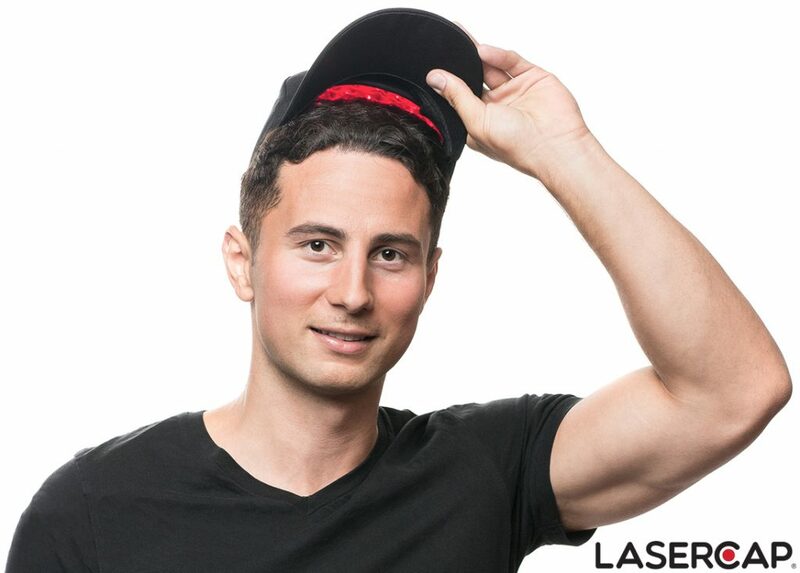 The post operative hair transplant patient gets optimal hair growth when supplemented with laser hair therapy. 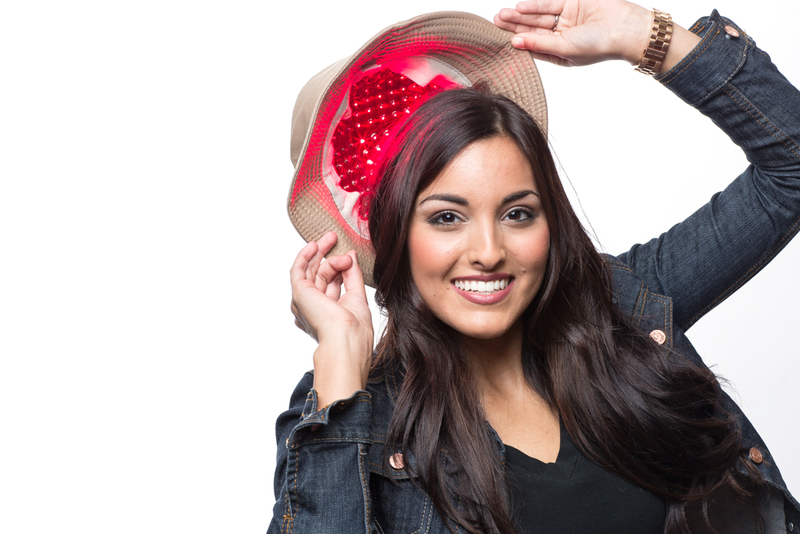 PhotoBioStimulation (also commonly referred to as low-level laser light therapy – LLLT or laser hair therapy – LHT) creates an environment that promotes and increases cellular activity in the scalp. PBS improves cellular respiration in the hair follicles, resulting in a longer growth phase and a return to thicker, shinier and darker hairs over time. PBS does not create new hairs or replace ones that have been lost permanently. Rather it stimulates healthier growth of existing hairs. Dr. Ryan Welter has been involved in the delivery of LHT, as well as the only other two FDA approved topical or oral medication treatments that is proven to defeat inherited pattern baldness. Laser Hair Therapy has no known side effects. LHT penetrates the scalp to the depth of the hair follicle, stimulating cell respiration and function. Healthy cells help produce healthy hair. The gradual deterioration of thinning hair typically reversed and the gradual effect is the production of stronger, thicker shinier hair. In some cases, the increased production of the cells that produce pigment can cause hair to return more to its original color. There are a variety of devices that successfully deliver LHT. They include clinical machines that must be used in the provider’s office, low-powered hand-held laser ‘combs’ that require a regime of brushing through the hair several times per week and those that can be worn. The latter category-wearables-are by far the most popular method for delivering LHT, as they are convenient to use and many are as powerful any clinical machine. Dr. Ryan Welter offers the most sophisticated devices and will recommend the best to use for efficacy and convenience. Most LHT devices are classified by the FDA as 3R medical devices. By simply avoiding prolonged eye contact, they can be used in complete comfort and safety. Dr. Ryan Welter will explain proper usage. Take home device – A low-level laser light therapy device is now available for at home use. This device penetrates the scalp to the depth of the hair follicle, stimulating cell respiration and function. Healthy cells help produce healthy hair. The gradual deterioration of thinning hair typically is reversed and the gradual effect is the production of stronger, thicker, shinier hair. 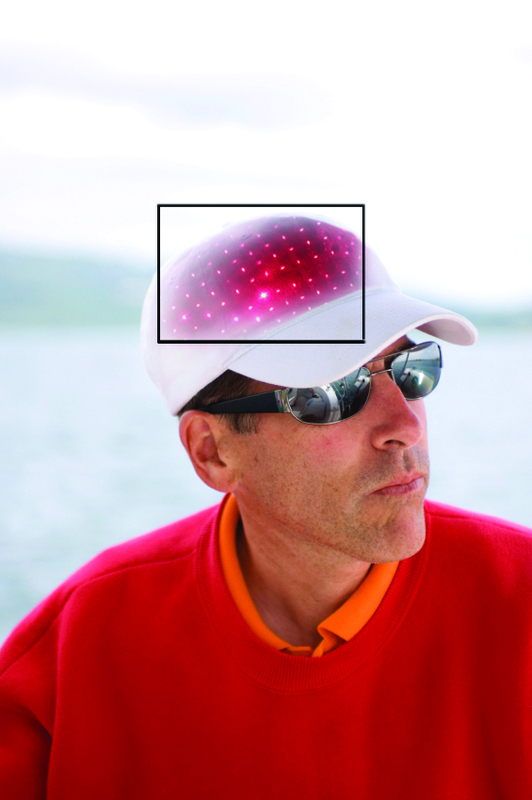 Hidden under your favorite hat, this FDA-cleared medical device is simple, convenient, and easy to use. For residents in New England and the surrounding areas such as Massachusetts, Rhode Island, and New Hampshire, contact us today to schedule your consultation and find out if laser hair therapy is right for you!